Fewer than half of Americans with bipolar disorder are properly diagnosed and treated, recent research shows. Could you spot bipolar symptoms – in yourself or in someone close to you? 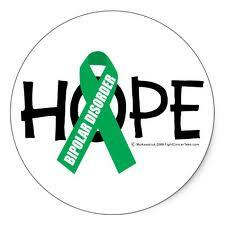 Many people with bipolar disorder don’t even know they have it. Fewer than half of people in the United States who show classic signs of bipolar disorder actually get diagnosed and treated, says a recent Archives of General Psychiatry report on a survey of more than 61,000 adults in 11 countries — the United States, Mexico, China, Japan, Brazil, Colombia, India, Lebanon, Bulgaria, Romania, and New Zealand. Bipolar patients in lower-income nations get even less treatment — in some cases, as few as 25 percent receive help.